Sometimes after you have downloaded videos from YouTube, you just want to rip audio from these YouTube video file as your ringtone or for playback on iPod, Zune or MP3 player? Resorting to Google for help, you may easily find out various methods concerning audio extraction from the YouTube video files. However, there's scarcely easy yet effective solution. Many users feel confused whether ClipGrab, a YouTube audio ripper for Mac ranks well on Google, is safe for Mac or not. Unfortunately, "ClipGrab may contain third-party offers by installCore." said on its official site. To make the task simpler, faster, and more efficient, we bring you the guide to extracting high-quality audio tracks from YouTube. 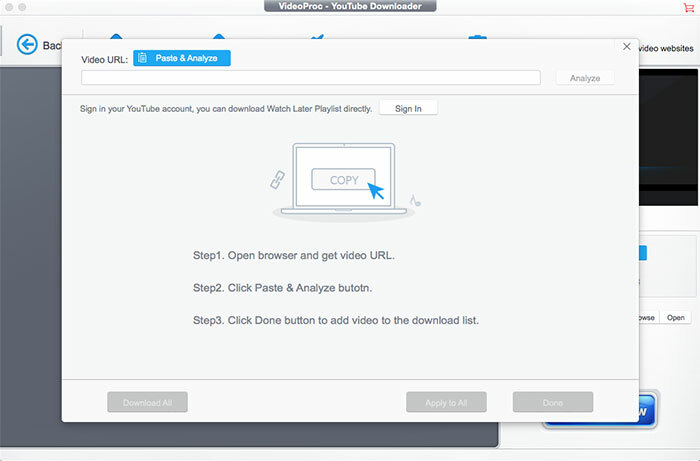 We use MacX Video Converter Pro, an all-in-one YouTube audio music downloader and converter. It is able to directly download YouTube audio/audio song playlists with original quality for offline playback on iPhone, iPad, iPod, Android, iTunes, etc. You are also allowed to rip sound from YouTube videos to MP3, AAC, AC3, WMA, WAV, and other audio formats with nary audio quality loss. It also works for ripping audio and videos from Vevo, Vimeo, Dailymotion, Facebook, 1000+ sites. This method is quite easy and fast without having to download extra apps. The top-rated YouTube audio extractor has no tricks inside and no ads. Use steps below to directly download YouTube audio with high quality. No conversion is needed. Get MacX Video Converter Pro on your Mac (macOS Mojave also supported) and run it. Click the Downloader button to open the downloader interface. Go to the YouTube video you'd like to rip the audio from. Copy the URL, and click the blue Paste & Analyze button to analyze the video info. A window will show up with all the available YouTube video and audio format and file size displayed after the analysis completes. Select the YouTube sound format you want, then click the Done button to save the settings. Wait for the downloading. Click the Download now button to save the YouTube audio file to your destination folder on Mac. Click the Video button on the main interface and the video window appears. Click + Video and select the YouTube video you want to extract audio from to load. If you haven't yet downloaded the YouTube video, no biggie, you can also use this versatile program to download the video from YouTube. Just copy and paste the YouTube video URL to the address bar it pops up and then click "Download Now" to begin YouTube video downloading job. Click Music tab at the bottom of the Video window to get a list of audio formats. Select the audio format you need from the ready-to-use profile. You can choose to process YouTube videos to MP3, AAC, iPhone Ringtone, etc. audio formats without any sound quality loss. Tips: Click the codec Option button to get audio parameters settings options. You can drag the quality slider bar to adjust the sound quality. Under Audio Codec Options section, you are allowed to change audio channel, sample rate, and bit rate. Click the Done button to apply the change. Click "Browse" button to choose an output folder for storing your audio file. Press the "RUN" button and begin to convert the YouTube video to audio file. 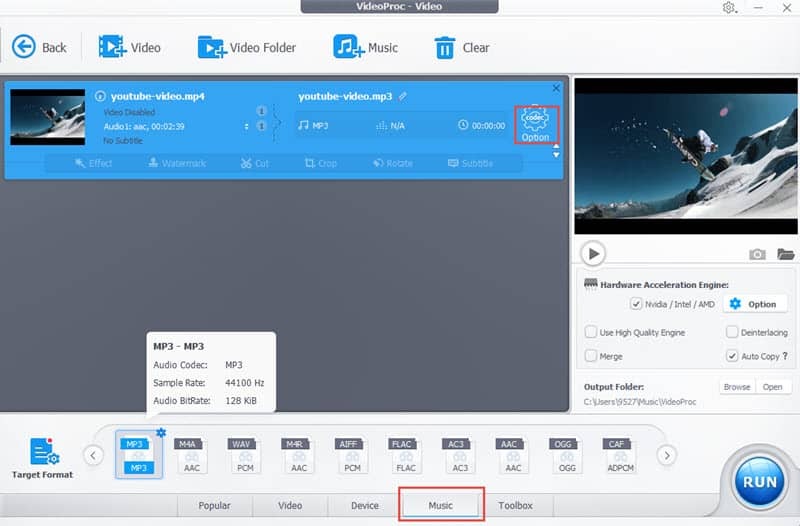 Note: MacX Video Converter Pro also covers the features of converting any video among SD and HD, such as AVCHD to MP4, MTS to MOV, FLV to AVI, MKV to MP4, etc. for playback on any latest smart phones and tablets, iPhone XS/XR/X/8/7/6S/6S Plus, iPad Mini 4 Retina/Air 2, iPod Touch, Samsung, Surface Pro 4, Amazon Fire Phone, to name a few. If you want to download YouTube MP3 audio on Mac as a ringtone or extract audio MP3 from YouTube video, check our list of top 5 YouTube MP3 audio/music downloading programs for macOS (macOS Mojave incl.). 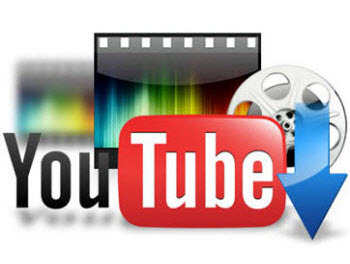 How to download and convert YouTube to MPEG? Here a professional YouTube to MPEG converter offers an easy solution to save a YouTube video as MPEG for playback on mobile devices iPhone, iPad, Android etc.